Our 2012, New Year’s Prayer – Our Father which art in heaven, hallowed be Thy name! Bless the Lord O my soul: and all that is within me bless Your Holy name. I adore You and make known to You my adoration and love this day. I bless Your name, El-Shaddai, the God Almighty of blessings. You are the Breasty One who nourishes and supplies. You are all-bountiful and all-sufficient. Hallowed be Thy name! I bless Your name, Adonai, my Lord and my Master. You are Jehovah – the Completely Self-Existing One, always and forever. Hallowed be Thy name! I bless Your name Jehovah-Jireh, the One Who sees my needs and provides for them. Hallowed be Thy name! I bless Your name, Jehovah-Rapha, my Healer and the One Who makes bitter experiences sweet. You sent Your Word and healed me. You forgave all my iniquities and You healed all my diseases. Hallowed be Thy name! I bless Your name, Jehovah-M’Kaddesh, the Lord my Sanctifier. You have set me apart for Yourself. Hallowed be Thy name! Jehovah-Nissi, You are my Victory, my Banner, and my Standard. Your banner over me is love. When the enemy comes in like a flood, You lift up a standard against him. Hallowed be Thy name! Jehovah-Shalom, I bless Your name. You are my Peace – the peace which transcends all understanding, which garrisons and mounts guard over my heart and mind in Christ Jesus. Hallowed be Thy name! I bless You, Jehovah-Tsidkenu, my Righteousness. Thank You for becoming sin for me that I might become the righteousness of God in Christ Jesus. Hallowed be Thy name! Jehovah-Rohi, You are my Shepherd, and I shall not want for any good or beneficial thing. Hallowed be Thy name! Hallelujah to Jehovah-Shammah, the One Who will never leave or forsake me. You are always there. I take comfort and am encouraged and confidently and boldly say, The Lord is my Helper; I will not be seized with alarm – I will not fear or dread or be terrified. What can man do to me? Hallowed be Thy name! I worship and adore You, El-Elyon, the Most High God, Who is the First Cause of everything, the Possessor of the heavens and the earth. You are the everlasting God, the Great God, the living God, the merciful God, the faithful God, and the mighty God. You are Truth, Justice, Righteousness and Perfection. You are El-Elyon – the Highest Sovereign of the heavens and the earth. Hallowed be Thy name! Father, You have exalted above all else Your name and Your Word, and You have magnified Your Word above all Your name! 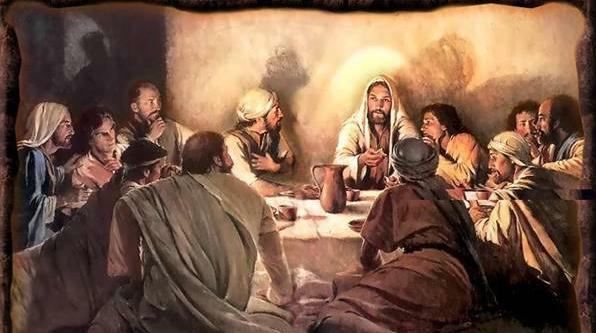 Your Word was made flesh and dwelt among us, and His name is Jesus! Hallowed be Thy name! In memory of the fallen who served so that we can live free! 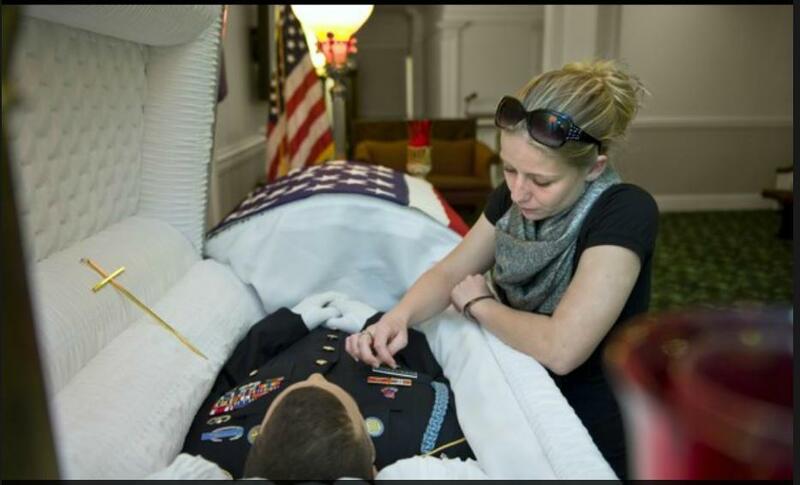 Seana Arrechaga kneels beside her husband as he lies in his coffin. Sgt. I st Class Ofren Arrechaga was killed in a firefight in Afghanistan eight days earlier. Perhaps, just perhaps, in times of reflection we can take a page from the life of Seana and Ofren Arrechaga and learn how to set aside Political party affiliation that divides us and be Americans first, with the profound knowledge that “together we aspire and together we will achieve,” but divided we will fall! 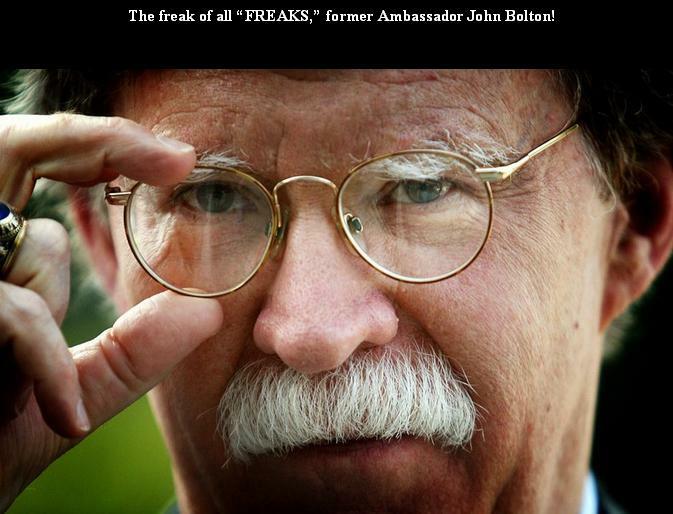 Mustache Cartoon-Man John Bolton, one of the idiots who got us into the Iraq war, criticizes Obama’s Foreign Policy! These people that are always espousing; God, Country and Patriotism and at the same time criticizes the extension of Tax Cuts for one hundred and sixty two million Americans and the extended Unemployment Insurance for the many who has come upon hard times, they disgust me! It is my hope that in the upcoming 2012 election that the 98% that are continually disavowed by the Republicans, remember the duplicity of whom they voted for in 2010, and before! Iran unlikely to block oil shipments through Strait of Hormuz, analysts say! 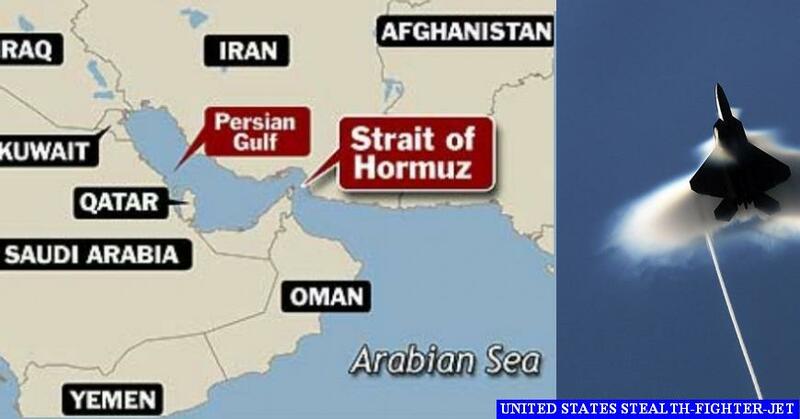 TEHRAN— The latest in a series of Iranian threats to block the vital Strait of Hormuz triggered a sharp response Wednesday from the U.S. Navy, although there appeared to be little chance thatTehran would make good on its warnings. Iran, which feels threatened by the presence of U.S.bases and warships in the region, has warned for years that it would choke off the Strait of Hormuz in the case of war or economic sanctions. The passage at the entrance to thePersian Gulf hosts a daily caravan of tankers that transport roughly a third of the world’s oil shipments. The European Union, encouraged by the United States, is expected to decide in January whether to boycott Iranian crude. And countries such as Japan and South Korea are under increasingU.S. pressure to stop buying oil fromIran, currently the world’s fifth-largest producer. By undermining Iran’s ability to generate income through oil sales, the United Stateshopes to force Tehranto abandon its uranium enrichment program, which the Obama administration suspects is secretly aimed at enabling Iranto build nuclear weapons. Iran denies it is trying to build nuclear arms. The latest furor erupted when Iranian Vice President Mohammad Reza Rahimi told students Tuesday thatIranwould close the strait in reprisal for any Western sanctions onIran’s oil exports. In addition to the threats, Iranhas started a 10-day naval exercise to demonstrate what it calls “asymmetrical warfare,” a military doctrine aimed at defeatingU.S. aircraft carriers in a potentialPersian Gulf conflict by using swarms of rocket-mounted speedboats and a barrage of missiles. A State Department spokesman played down the latest warnings as “more rhetoric from the Iranians,” suggesting that the Obama administration did not perceive a serious threat to shipping in theStrait of Hormuz. “We’ve seen these kinds of comments before,” the spokesman, Mark Toner, said Wednesday. Oil producers have not sat idle after decades of Iranian threats to shut off the only regional energy transportation corridor. The United Arab Emirates has nearly finished a 2.5 million-barrel-a-day pipeline circumventing the Persian Gulf. U.A.E. officials say the Abu Dhabi Crude Oil Pipeline Project is a “strategic pass,” circumventing theHormuzStrait in caseIran closes the choke point. Iranian officials insist that the U.A.E. pipeline and others that are being constructed in the region will not lessen the strategic importance of theHormuzStrait. But they have raised the issue repeatedly, which analysts say is a sign that they are nervous about it. And Iran— which has enjoyed record oil profits over the past five years but is faced with a dwindling number of oil customers — relies on the HormuzStraitas the departure gate for its biggest client: China. Ahmad Bakhshayesh Ardestani, a political scientist running for parliament from the camp of hard-line clerics and commanders opposing Ahmadinejad, said it is “good politics” forIranto respond toU.S.threats with threats of its own. 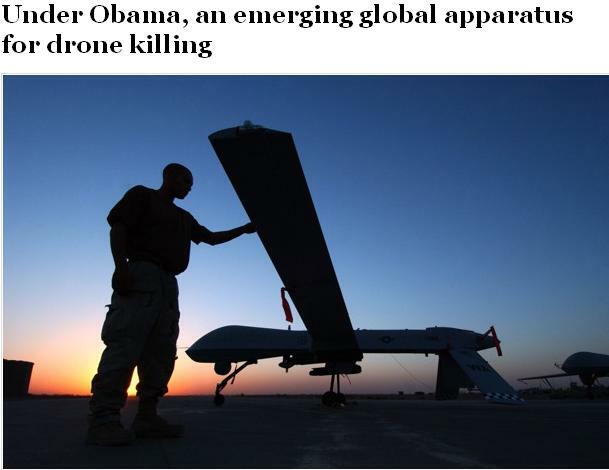 Under Obama, an emerging global apparatus for drone killing! In the space of three years, the administration has built an extensive apparatus for using drones to carry out targeted killings of suspected terrorists and stealth surveillance of other adversaries. The apparatus involves dozens of secret facilities, including two operational hubs on the East Coast, virtual Air Force­ ­cockpits in the Southwest and clandestine bases in at least six countries on two continents. In Yemen, for instance, the CIA and the military’s Joint Special Operations Command pursue the same adversary with nearly identical aircraft. But they alternate taking the lead on strikes to exploit their separate authorities, and they maintain separate kill lists that overlap but don’t match. CIA and military strikes this fall killed threeU.S. citizens, two of whom were suspected al-Qaeda operatives. Senior Democrats barely blink at the idea that a president from their party has assembled such a highly efficient machine for the targeted killing of suspected terrorists. It is a measure of the extent to which the drone campaign has become an awkward open secret inWashingtonthat even those inclined to express misgivings can only allude to a program that, officially, they are not allowed to discuss. Sen. Dianne Feinstein (D-Calif.), chairman of the Select Committee on Intelligence, described the program with a mixture of awe and concern. Its expansion under Obama was almost inevitable, she said, because of the technology’s growing sophistication. But the pace of its development, she said, makes it hard to predict how it might come to be used. Another reason for the lack of extensive debate is secrecy. The White House has refused to divulge details about the structure of the drone program or, with rare exceptions, who has been killed. White House and CIA officials declined to speak for attribution for this article. Inside the White House, according to officials who would discuss the drone program only on the condition of anonymity, the drone is seen as a critical tool whose evolution was accelerating even before Obama was elected. Senior administration officials said the escalating number of strikes has created a perception that the drone is driving counterterrorism policy, when the reverse is true. Nevertheless, for a president who campaigned against the alleged counterterrorism excesses of his predecessor, Obama has emphatically embraced the post-Sept. 11 era’s signature counterterrorism tool. When Obama was sworn into office in 2009, the nation’s clandestine drone war was confined to a single country, Pakistan, where 44 strikes over five years had left about 400 people dead, according to the New America Foundation. The number of strikes has since soared to nearly 240, and the number of those killed, according to conservative estimates, has more than quadrupled. The number of strikes in Pakistanhas declined this year, partly because the CIA has occasionally suspended them to ease tensions at moments of crisis. One lull followed the arrest of an American agency contractor who killed two Pakistani men; another came after the U.S.commando raid that killed bin Laden. The CIA’s most recent period of restraint followed U.S.military airstrikes last month that inadvertently killed 24 Pakistani soldiers along the Afghan border. At the same time, U.S.officials have said that the number of “high-value” al-Qaeda targets in Pakistan has dwindled to two. Administration officials said the expansion of the program under Obama has largely been driven by the timeline of the drone’s development. Remotely piloted aircraft were used during the Clinton and Bush administrations, but only in recent years have they become advanced and abundant enough to be deployed on such a large scale. The number of drone aircraft has exploded in the past three years. A recent study by the Congressional Budget Office counted 775 Predators, Reapers and other medium- and long-range drones in the U.S. inventory, with hundreds more in the pipeline. About 30 of those aircraft have been allocated to the CIA, officials said. But the agency has a separate category that doesn’t show up in any public accounting, a fleet of stealth drones that were developed and acquired under a highly compartmentalized CIA program created after the Sept. 11 attacks. The RQ-170 model that recently crashed inIranexposed the agency’s use of stealth drones to spy on that country’s nuclear program, but the planes have also been used in other countries. The escalation of the lethal drone campaign under Obama was driven to an extent by early counterterrorism decisions. Shuttering the CIA’s detention program and halting transfers toGuantanamoBayleft few options beyond drone strikes or detention by often unreliable allies. Key members of Obama’s national security team came into office more inclined to endorse drone strikes than were their counterparts under Bush, current and former officials said. Secretary of State Hillary Rodham Clinton, former CIA director and current Defense Secretary Leon E. Panetta, and counterterrorism adviser John O. Brennan seemed always ready to step on the accelerator, said a former official who served in both administrations and was supportive of the program. Current administration officials did not dispute the former official’s characterization of the internal dynamics. The only member of Obama’s team known to have formally raised objections to the expanding drone campaign is Dennis Blair, who served as director of national intelligence. During a National Security Council meeting in November 2009, Blair sought to override the agenda and force a debate on the use of drones, according to two participants. Blair has since articulated his concerns publicly, calling for a suspension of unilateral drone strikes inPakistan, which he argues damage relations with that country and kill mainly mid-level militants. But he now speaks as a private citizen. His opinion contributed to his isolation from Obama’s inner circle, and he was fired last year. Obama himself was “oddly passive in this world,” the former official said, tending to defer on drone policy to senior aides whose instincts often dovetailed with the institutional agendas of the CIA and JSOC. The senior administration official disputed that characterization, saying that Obama doesn’t weigh in on every operation but has been deeply involved in setting the criteria for strikes and emphasizing the need to minimize collateral damage. Yemenhas emerged as a crucible of convergence, the only country where both the CIA and JSOC are known to fly armed drones and carry out strikes. The attacks are aimed at al-Qaeda in theArabian Peninsula, a Yemen-based affiliate that has eclipsed the terrorist network’s core as the most worrisome security threat. From separate “ops centers” atLangleyandFort Bragg,N.C., the agency and JSOC share intelligence and coordinate attacks, even as operations unfold.U.S.officials said the CIA recently intervened in a planned JSOC strike inYemen, urging its military counterpart to hold its fire because the intended target was not where the missile was aimed. Subsequent intelligence confirmed the agency’s concerns, officials said. But seams in the collaboration still show. After locating Anwar al-Awlaki inYementhis fall, the CIA quickly assembled a fleet of armed drones to track the alleged al-Qaeda leader until it could take a shot. The agency moved armed Predators fromPakistantoYementemporarily, and assumed control of others from JSOC’s arsenal, to expand surveillance of Awlaki, a U.S.-born cleric connected to terrorism plots, including the attempted bombing of a Detroit-bound airliner on Christmas Day 2009. The choreography of the strike, which involved four drones, was intricate. Two Predators pointed lasers at Awlaki’s vehicle, and a third circled to make sure that no civilians wandered into the cross hairs. Reaper drones, which are larger than Predators and can carry more missiles, have become the main shooters in most strikes. On Sept. 30, Awlaki was killed in a missile strike carried out by the CIA under Title 50 authorities — which govern covert intelligence operations — even though officials said it was initially unclear whether an agency or JSOC drone had delivered the fatal blow. A secondU.S.citizen, an al-Qaeda propagandist who had lived inNorth Carolina, was among those killed. When pressed on why the CIA had not pulled the trigger, U.S.officials said it was because the main target of the Oct. 14 attack, an Egyptian named Ibrahim al-Banna, was not on the agency’s kill list. The Awlaki teenager, a U.S. citizen with no history of involvement with al-Qaeda, was an unintended casualty. In interviews, seniorU.S.officials acknowledged that the two kill lists don’t match, but offered conflicting explanations as to why. Three seniorU.S.officials said the lists vary because of the divergent legal authorities. JSOC’s list is longer, the officials said, because the post-Sept. 11, 2001, Authorization for Use of Military Force, as well as a separate executive order, gave JSOC latitude to hunt broadly defined groups of al-Qaeda fighters, even outside conventional war zones. The CIA’s lethal-action authorities, based in a presidential “finding” that has been modified since Sept. 11, were described as more narrow. But others directly involved in the drone campaign offered a simpler explanation: Because the CIA had only recently resumed armed drone flights overYemen, the agency hadn’t had as much time as JSOC to compile its kill list. 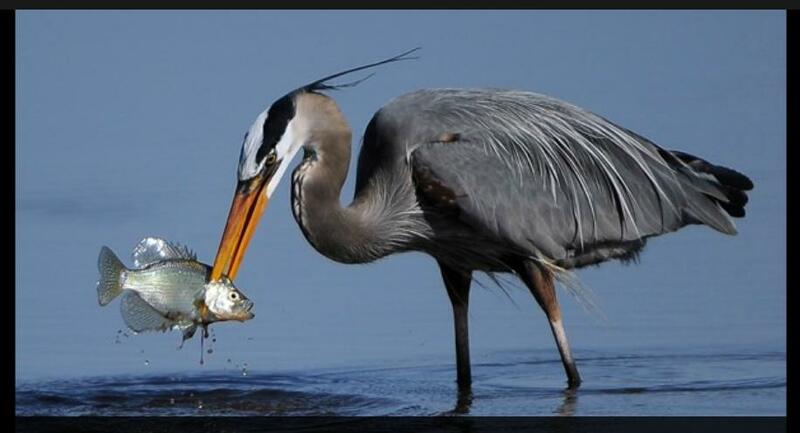 Over time, officials said, the agency would catch up. Such disparities often elude Congress, where the structure of oversight committees has failed to keep pace with the way military and intelligence operations have converged. Neither panel is in a position to compare the CIA and JSOC kill lists or even arrive at a comprehensive understanding of the rules by which each is assembled. The disclosure of these operations is generally limited to relevant committees in the House and Senate and sometimes only to their leaders. Those briefed must abide by restrictions that prevent them from discussing what they have learned with those who lack the requisite security clearances. The vast majority of lawmakers receive scant information about the administration’s drone program. The Senate intelligence committee, which is wrapping up a years-long investigation of the Bush-era interrogation program, has not initiated such an examination of armed drones. But officials said their oversight of the program has been augmented significantly in the past couple of years, with senior staff members now making frequent and sometimes unannounced visits to the CIA “ops center,” reviewing the intelligence involved in errant strikes, and visiting counterterrorism operations sites overseas. Feinstein acknowledged concern with emerging blind spots. The return of armed CIA Predators toYemen— after carrying out a single strike there in 2002 — was part of a significant expansion of the drones’ geographic reach. Over the past year, the agency has erected a secret drone base on the Arabian Peninsula. The U.S. military began flying Predators and Reapers from bases in Seychelles and Ethi­o­pia, in addition to JSOC’s long-standing drone base inDjibouti. Senior administration officials said the sprawling program comprises distinct campaigns, each calibrated according to where and against whom the aircraft and other counterterrorism weapons are used. InPakistan, the CIA has carried out 239 strikes since Obama was sworn in, and the agency continues to have wide latitude to launch attacks. InYemen, there have been about 15 strikes since Obama took office, although it is not clear how many were carried out by drones because theU.S.military has also used conventional aircraft and cruise missiles. Somalia, where the militant group al-Shabab is based, is surrounded by American drone installations. And officials said that JSOC has repeatedly lobbied for authority to strike al-Shabab training camps that have attracted some Somali Americans. But the administration has allowed only a handful of strikes, out of concern that a broader campaign could turn al-Shabab from a regional menace into an adversary determined to carry out attacks onU.S.soil. The plans are constantly being adjusted, officials said, with the White House holding strategy sessions on Pakistan, Yemen and Somalia two or three times a month. Administration officials point to the varied approach as evidence of its restraint. Drone strikes could resume, however, if factions of al-Shabab’s leadership succeed in expanding the group’s agenda. Modern science has enabled us to identify fossils existence dating back millions of years and allowed us to research and gain knowledge over the years. And it is that same science that allowed us the privilege of knowing the approximate year when documents were written. In the ancient days Scribes penned history and modern science through the testing of the “ink” on Scrolls, provided the timeline to identify that the Book of Isaiah was written approximately 650 years BC. The best ending of Christmas day is to wash anew in the cleansing fountain. The precious blood of the Lamb (Jesus Christ) slain removes the guilt, and purges away the defilement of our sins of ignorance and carelessness. Believer, come to this sacrifice continually; if it be so good tonight, it is good every night. To live at the altar is the privilege of the royal priesthood; to them sin; great as it is, is nevertheless no cause for despair, since they draw near yet again to the sin-atoning victim, and their conscience is purged from dead works. 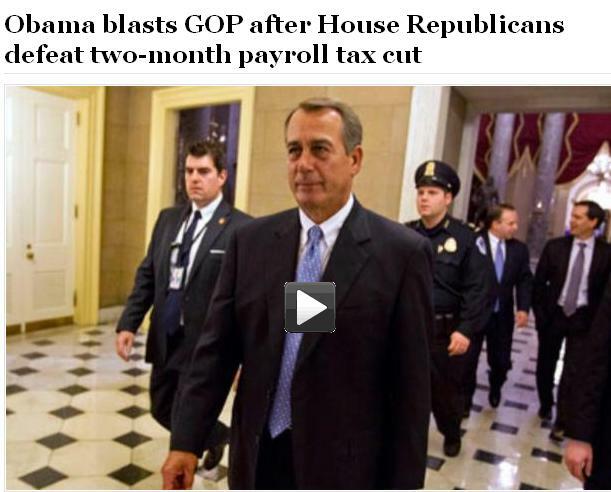 REPUBLICANS DEFEAT THE TAX CUTS for the “needy,” but yet they espouse God and Christianity at every twist and turn! In 2001 and 2003 when President George W. Bush and the Republican Controlled House and Senate voted for the massive tax cuts of over ONE TRILLION DOLLARS that benefited mostly the upper 2% of Americans, The Republicans never questioned or even attempted to find a way to pay for it; the tax cuts were just added to our National Debt. On the other hand when it comes to the 160 hard working Americans, the Republicans is demanding cuts in social services that “actually” helps the poor in our society; adding the Keystone Pipeline to the Bill, and shamelessly pretending that they care about the average American. “They have shown their true colors in defeating the temporary Senate Bill that was implemented by a vote of 89 to 10 in favor of the tax cuts. I wonder, just wonder, “Does the American people ever remember what President Bush and his Republican Party did to them from 2001 through 2008? I asked that question because it was the votes cast by the American people in 2010 that ushered in the “do nothing but obstruct,” Republican House of Representatives. More often than not, we reap what we sow.